US Officials often keeps on giving statements against Pakistan and their tongues becomes more bigger when they are on tour of India that is a old rival of Pakistan. This time US Defense Secretary and former CIA Chief Leon Panetta has targeted Pakistan in his tour of India. Leon Panetta has said that United States is losing patience towards Pakistan and Pakistan must help us in war on terror. 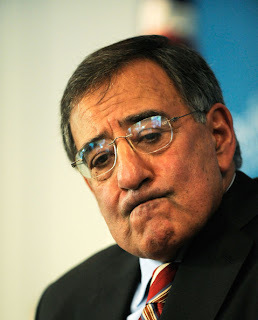 Panetta blamed that 9/11 was planned in Pakistani Tribal areas and Al Qaeda members are still present there. These Statements by Panetta shows that US is angry with Pakistan and cause of that anger is that Pakistan is not ready to reopen Nato supply. Pakistan is demanding apology from US for killings of 23 Pakistani Soldiers at Salala by Nato forces but US is not apologizing.